Ttotals – Let Everything Come Through LP: Nashville’s “outer blues” duo TTOTALS has just announced their debut LP after a slew of various sized records, cassette tapes and CD-Rs. Twin Lakes Records in North Branford, CT releases the platter after dropping the band’s 2013 single Spectrums of Light. Their brand of vivid blues-psych comes with a windy, lantern-like glow, a sound produced by the electronic samples of drummer Marty Linville. The teasing layer adds an element of bright-but-vaporous smoke to their craft, proving that Let Everything Come Through has been worth the wait since the duo began in 2009. Twin Lakes proudly releases the sinister LP on November 11th – hear one track here and a few others on Bandcamp. Heaters – Solstice 10″ EP: Based in Grand Rapids, Michigan, Heaters have been dropping their material at an alarming rate. 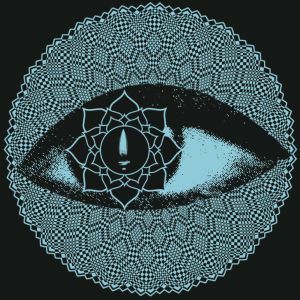 Their latest, Solstice, is officially released today by Dizzybird Records, and it’s their first true full-length record. It begins with “Memorial;” a wash of silky-smooth guitars glide the coast with a bouncy bass line, held together by a steady mid-tempo rhythm. The perpetual jangle of guitar is generated by the warmth of the sun, which always shine brightly with their heavenly, harp-like glimmer. Start by listening to the jewel-toned “Memorial” below – by the end you’re lost in a tangle of wiry, guitar-fueled might. Get the 10″ right here. 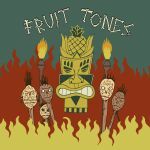 Fruit Tones – Some Strange Voodoo 7″ EP: Fruit Tones, from Manchester, are gearing up to drop their debut vinyl release on Stolen Body Records. Some Strange Voodoo is the first 7″ release for the UK-based label, coming in a run of 500 pieces on yellow wax with black-splatter (to resemble, you guessed it, a particular fruit). The single combines their shimmering garage punk with snotty vocal howls and colorful guitar twangs. Their crunchy surf rock is best heard at full volume, creating an ear-piercing melodic roar that rumbles the ground with a destructive, tropical twist. Stolen Body Records drops the 7″ on November 10th – PREORDER it now for a discount! Cowbones – Vox Populi Pollux LP: Casbah Records in Valence, France is set to deliver the crushing debut from Cowbones. The album blends electronic and punk elements into a driving and angular post-punk force that is heavy on synths, repetition, slime, dance, and doom. Muffled, robotic vocals lead the charge, best evidenced in “Honey” – it’s full of well-timed bleeps and bloops and an industrialized rhythm, creating a harshly addicting and primitive sound that will drive you wild. Their record is largely comprised of electronics, but the drumming provides a constant punch in a few tracks that proves they’re not limited to just electronic percussion. Head on over to Casbah Records now – you can snag the LP here. Posted on October 17, 2014 October 18, 2014 by styrofoamdronePosted in Hot Off the PressTagged Casbah Records, Cowbones, Dizzybird Records, Fruit Tones, Heaters, Let Everything Come Through, Solstice, Some Strange Voodoo, Stolen Body Records, Ttotals, Twin Lakes Records, Vox Populi Pollux.